Simple to learn, but difficult to master. 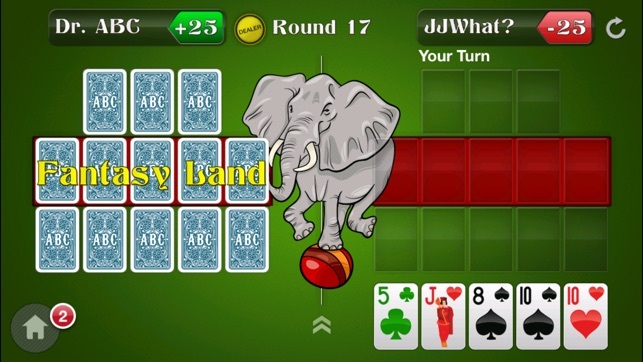 Your task is simple: place 13 cards into three poker hands, but you don't know what cards are coming next. Play it safe, or risk fouling for a chance at a big hand? Practice against our computer AI, or wage epic card battles against friends & strangers on GameCenter. See how you stack up in our worldwide skill rankings. Three different types of OFC to choose from, so always something new to learn. 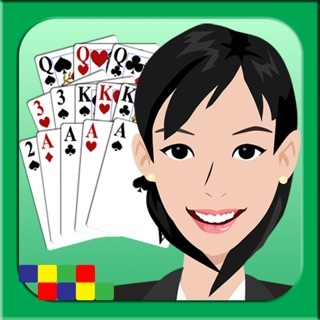 We are the most popular Open Face Chinese Poker game on iOS, with tens of thousands of active players, and hundreds of thousands of hands played every month. And no two hands are ever the same. 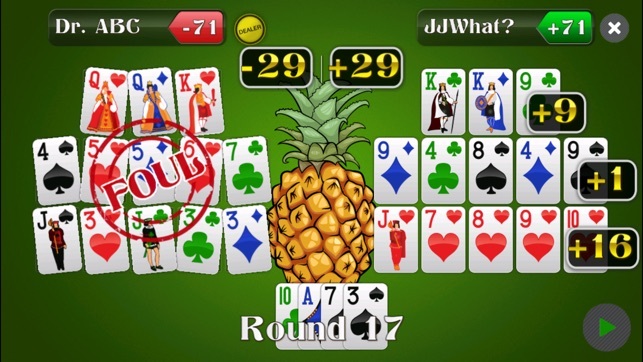 This app supports Regular and Pineapple Open Face Chinese Poker (OFC), and now with Deuce (2-7) Middle Pineapple, with in-app purchase. 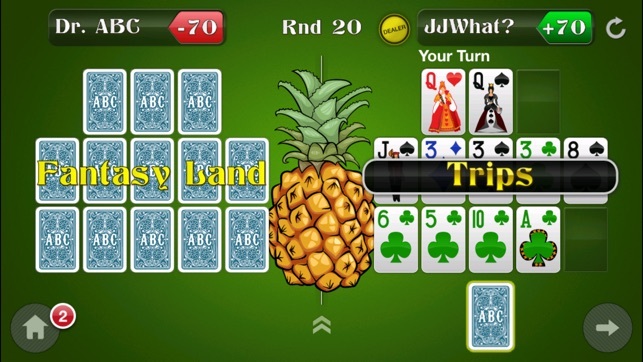 We also include hand histories & replay for all games, now with a convenient way view to see your Pineapple discards, and to pause replays, for maximum second-guessing. More game variants and options coming soon. Let us know what you'd like to see next! 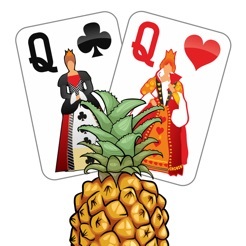 - easier to distinguish between Pineapple & Deuce game types. So don't foul! Keep letting us know what you'd like to see next. There's a big update coming, but thought we'd get in a small one with some fixes in first. First of all, you get one free game and then you have to pay $5 to keep playing. A blatant bait and switch, maybe not even legal. 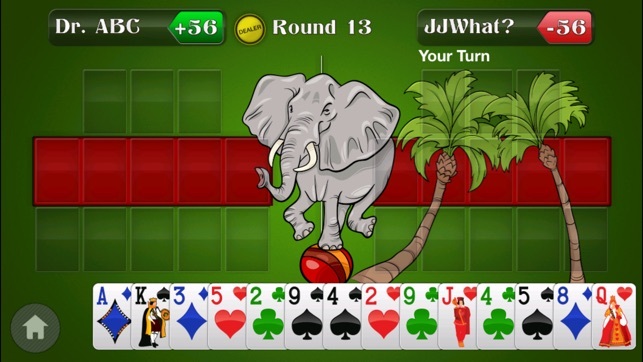 Then when you decide to spend the money anyway, because it's much better than any other OFC/pineapple game out there, and you play against the computer, it gets big hand after big hand while you struggle to fill a full house or complete a straight or flush. 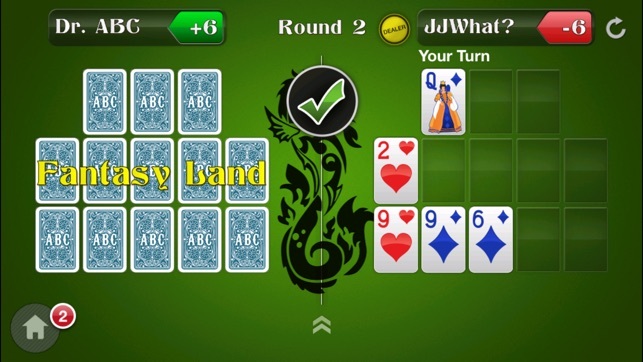 Meanwhile it's getting full house over full house hands and hitting inside straight flush draws, putting you deep in the hole. Bottom line, unless you plan to play exclusively against other people, this game is useless and rigged against you. 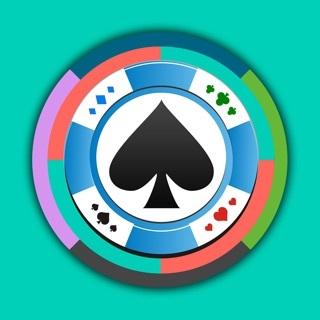 I tried another OFC app that shall remain nameless before I tried this one! Like going from crawling to driving a Lamborghini! This app is fun, challenging, and has lots of extra features like tutorials that actually help you learn the game and improve! I don't pay for apps often, but this one is worth every penny! Solid game but needs updates. Sometimes get out of sync error. Would be nice if it wasn't landscape only and more customizable. Also would be nice if you could set hand they're in FL, etc.